Presenting state-of-the-art work on the conscious and unconscious processes involved in emotion, this integrative volume brings together leading psychologists, neuroscientists, and philosophers. 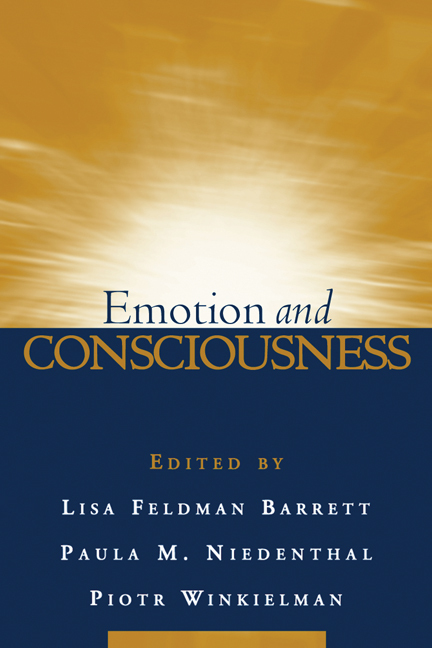 Carefully organized, tightly edited chapters address such compelling questions as how bodily responses contribute to conscious experience, whether "unconscious emotion" exists, how affect is transmitted from one person to another, and how emotional responses are produced in the brain. Bringing a new level of coherence to lines of inquiry that often remain disparate, the book identifies key, cross-cutting ideas and themes and sets forth a cogent agenda for future research.